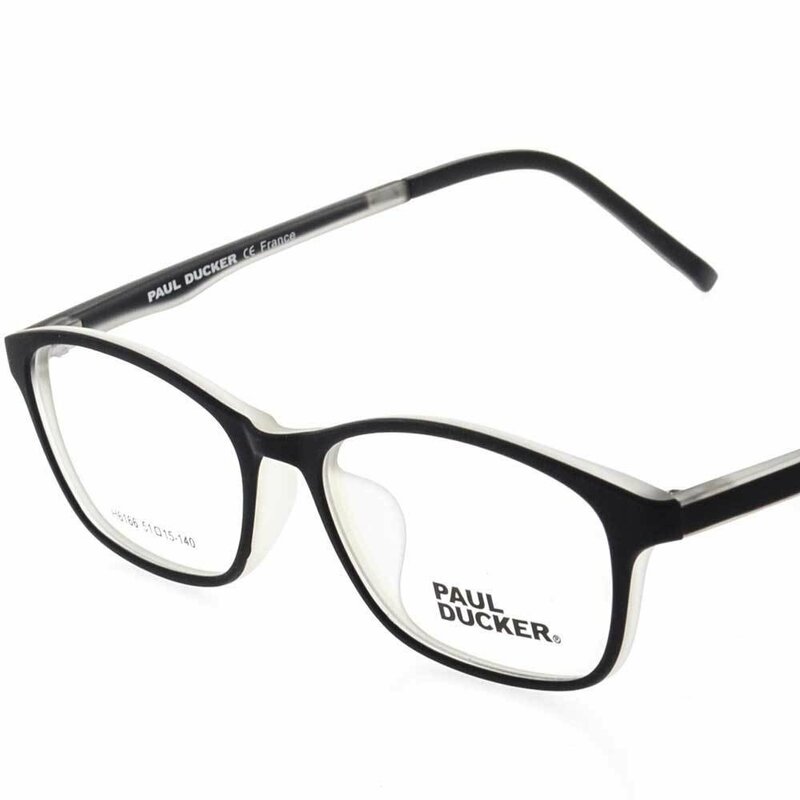 PAUL DUCKER flexible & light weight collection. Square eyeglasses for men & women. Black with white frame and black with white temples.